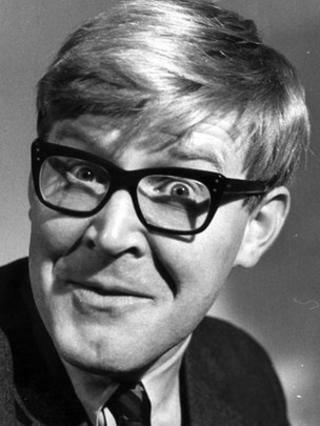 Audio of Alan Bennett's first major TV show has been recovered, decades after it was wiped in a bid to save tape. The recordings of the six-part satirical BBC Two series On The Margin were made in 1966. The show, written by and starring Bennett, also featured Prunella Scales and John Sergeant, who later became the BBC's chief political correspondent. The recordings, made during a 1967 repeat of the series, are due to be returned to the BBC archive. The show, which originally went out on BBC Two, contained satirical and observational sketches, including its own mini-soap opera. There were also serious poetry and musical slots during the programme, including readings from actress Scales, and archive footage of music hall stars. On The Margin was a critical success, and was repeated on BBC One, prompting the wrath of television campaigner Mary Whitehouse. The programme was wiped after its final broadcast, with tape recycling a common practice at the time. Michael Brooke, writing for the British Film Institute, said the show was "one of the most notorious victims" of material being destroyed. It was feared that with the exception of some fragments, On The Margin had been lost forever.